In this capstone lab, you – as a Geography 1112 student – will take measurements at the same location you did in the very first lab and compare your measurements not only to conditions on that day but also to expected conditions based on the past 30 years of data, expected conditions 21,000 years ago, and expected conditions in the next several decades. You have been outside today and have a general feel what the weather is. Therefore, answer the following hypothesis questions with actual hypotheses regarding how today’s weather differs from measurements earlier in the semester and expected climatological conditions. Your TA will help you create the hypotheses based on the input from the class. If you disagree with the rest of the class, then create your own hypotheses. Q1: How does temperature, pressure, specific humidity, and CO2 concentrations today at your location differ from the expected conditions at your location in January? 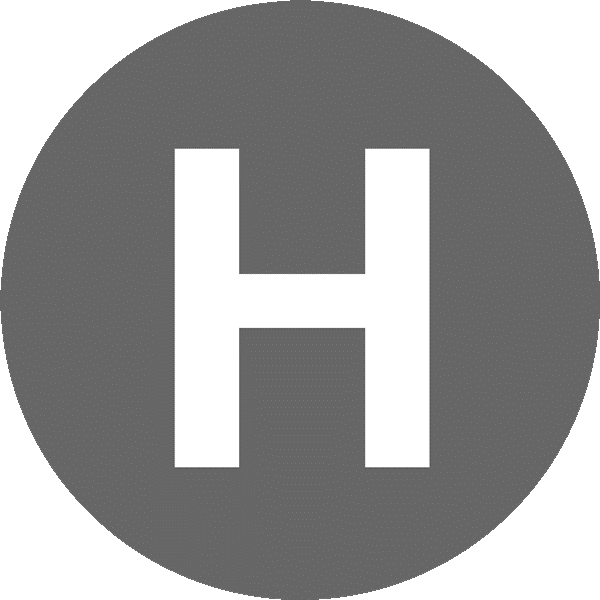 Q2: How does temperature, pressure, and specific humidity today at Hurt Park differ from the expected conditions at Hurt Park for this particular month, day, and hour? Q3: If your class were to go back in time 20,000 years and make measurements at Hurt Park on the same day of the year and hour as this lab period, how would temperature, specific humidity, and CO2 concentrations back then differ from the current (i.e., the past 30 years) conditions at Hurt Park? Q4: If you were to go forward in time 30 years and make measurements on the same day and hour as this lab period, how would temperature, specific humidity, and CO2 concentrations back then differ from the current (i.e., past 30 years) conditions at Hurt Park? Just as you did in the first lab way back in January, each team (i.e., the two people sitting next to each other on one side of the table) will be given a protective case containing a weather meter, an infrared thermometer, a solar power meter, and a CO2 meter. 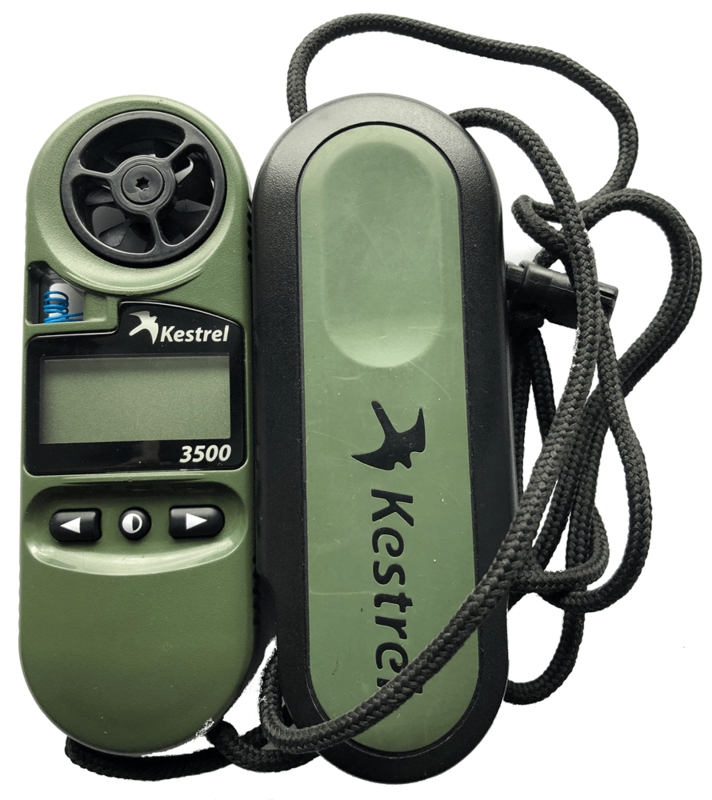 The weather meter will be used to measure air temperature, dew-point temperature (i.e., humidity), atmospheric pressure, and wind speed. The infrared thermometer will be used to measure the temperature of the ground (or surface temperature). The solar power irradiance meter will be used to measure solar irradiance (i.e., the amount of sunlight). And the CO2 meter will be used to measure the concentration of carbon dioxide (CO2). 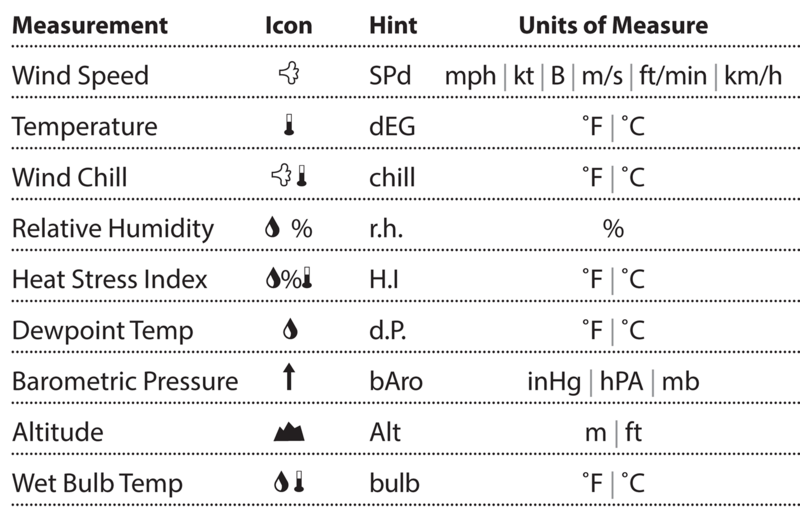 In case you forgot the variables for the weather meter, they are provided below. And just as a reminder, the information below shows you what you are measuring with each instrument. You are measuring air temperature, relative humidity, and, barometric pressure (i.e., atmospheric pressure) with the weather meter. You are measuring surface temperature with the infrared thermometer. 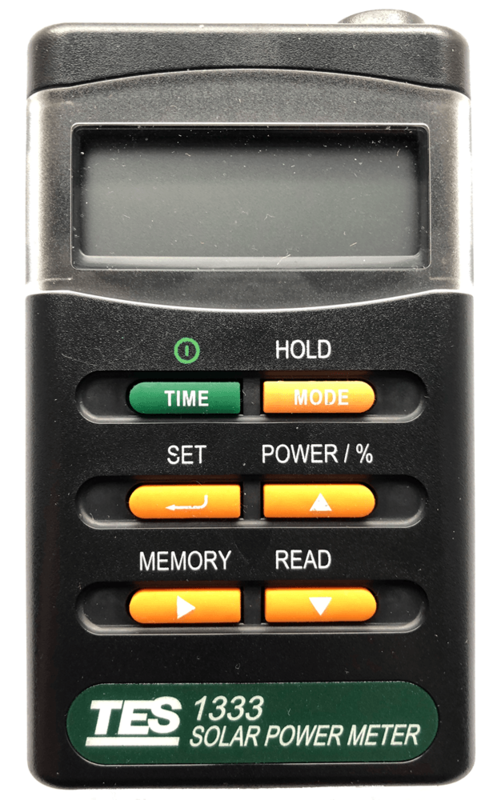 You are measuring solar irradiance with the solar power meter. 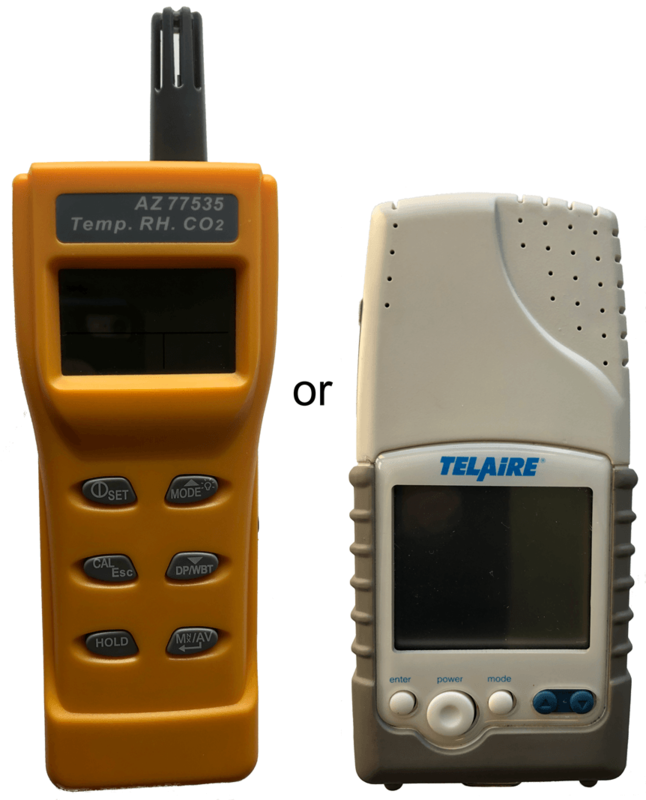 You are measuring CO2 concentrations with a CO2 meter. Type the coordinates of your location into your phone and go your location. Since you have hopefully been to the correct location already in January you can simply walk to that spot. Record your measurements of air temperature, relative humidity, barometric pressure, surface temperature, solar irradiance, and CO2 concentration on the data sheet provided to you. You also may want to download the image below onto your phone so that you have a back-up navigation option. 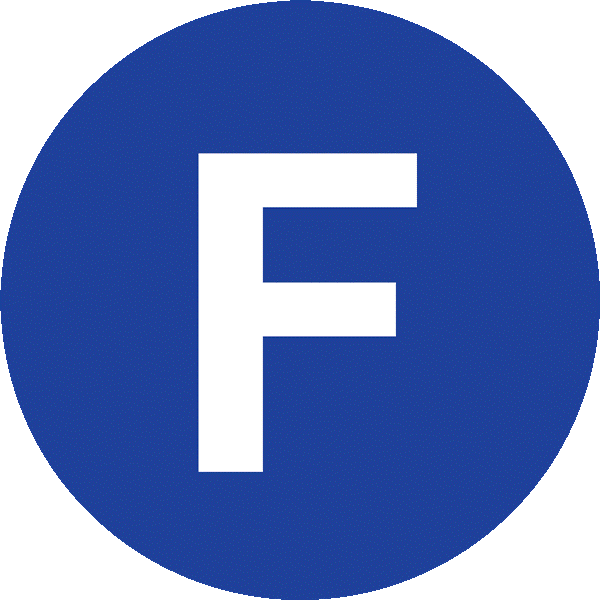 If your location is a parking garage (i.e., A, F, and O), please go to the top level of the garage. If your location is at a body of water (i.e., D and M), please take your measurements as close to the water as possible without accidentally dropping the instruments in the water. In addition, let the CO2 meters take measurements for at least one minute before recording the concentration. The entire class will leave together and everyone needs to meet back at the classroom within 30 minutes of leaving. Your lab instructor will designate four teams to take additional measurements at Location G in Hurt Park (this is in the middle of the park without any tree cover). Therefore, the original Location H team and four other teams will be taking measurements at Location G.
Input your measurements from today and January in Atmospheric_Conditions; your lab instructor has provided you with data the class collected in January at the various locations in and near campus. You will notice that specific humidity is calculated. This is simply the amount of water vapor per kilogram of air; therefore, it provides information on the moisture levels of the atmosphere. As you have hopefully learned in lecture portion of this course, specific humidity – along with temperature – are typically much lower in winter than summer. Q5: How did the temperature measurements at your location differ from those made in January? Q6: Why would you expect it to be warmer today than in January? Q7: If it was actually colder today than the day in January, then what weather system over Atlanta has caused that? Click here to see a weather map. Q8: How did the barometric pressure measurements at your location differ from those made in January? Q9: How did the specific humidity measurements at your location differ from those made in January? Q10: Why would you expect specific humidity to be much higher today than in January? Keep Atmospheric_Conditions.xlsx open and also open Atlanta_Expected_Conditions. The values taken at Location G in Hurt Park, which go in cells F5 to F8, will be compared with the mean values (i.e., expected values) over the past 30 years (taken at a station near the airport) for the month, day, and hour of your lab class. 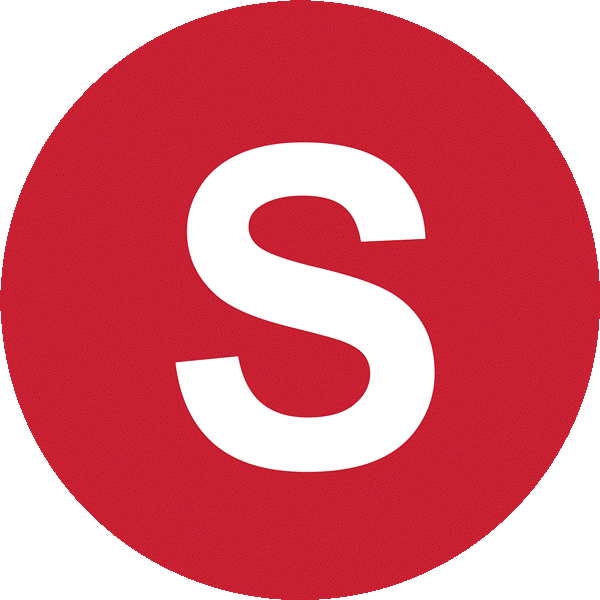 The expected values go in cells F5 to F8 and can be found in Atlanta_Expected_Conditions.xlsx by scrolling down to the month, day, and hour of your measurements. Q11: How did the conditions at Hurt Park today compare to what was expected based on observations over the past 30 years? Q12: Is this generally what the class hypothesized? 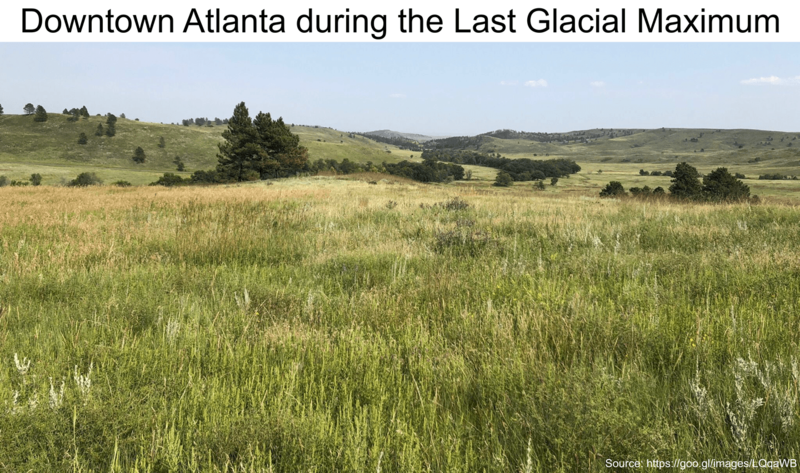 Obviously Atlanta – and Hurt Park – did not exist during the Last Glacial Maximum (LGM), which occurred approximately 20,000 years ago. But let’s pretend that you can magically go back to the location of present-day Hurt Park and experience the expected conditions there on this day and hour during the LGM. Open LGM in Google Earth to see just how close the ice sheet was to Atlanta approximately 21,000 years ago (19,000 BCE). Because the climate was cooler and drier than today’s climate, the Atlanta area was primarily grasslands with the occasional groves of pine and spruce. And large herbivores, such as mammoths, horses, bison, and giant ground sloths, were common. In Atmospheric_Conditions.xlsx, look at cells O5 to O7 and cells P5 to P7 to see how much different air temperature, specific humidity, and CO2 concentrations in the Atlanta area differ between the present-day and the LGM. Q13: How do the present-day conditions at Hurt Park compare to the predicted conditions during the LGM? Q14: Is this generally what the class hypothesized? Q15: What natural factor helped contribute to CO2 concentrations to being so much lower during the LGM? Hint: CO2 is more soluble in colder waters than in warmer waters. Q16: What human factor has caused CO2 concentrations to be so much higher now? Visit the Carbon Cycle lab if you are feeling uncertain about your answer. Q17: Atlanta obviously did not have a Cfa climate type during the LGM. What climate type do you think it had and why? Hint: It was noted above that it was primarily grasslands. Therefore, open Terrestrial_Biomes and Climate_Types in Google Earth to see what climate types have temperate grasslands. You hopefully have paid attention in lab and lecture over the past several weeks and know that we are in a period of global warming, with increased concentrations of greenhouse gases (e.g., CO2) as the primary driver of the warming. In Atmospheric_Conditions.xlsx, look at columns R to V to see how future conditions on this particular day, month, and hour will differ from the expected conditions in 2050. Column T provided estimated values based on current trends. Column U provides estimates values based on the RCP 4.5 emissions scenario. And Column V provides estimates based on the RCP 8.5 emissions scenario. Hopefully you recall learning about these emissions scenarios in the previous lab. Q18: How do the present-day conditions at Hurt Park compare to the predicted conditions ~30 years from now? Q19: Is this generally what the class hypothesized? Hurt Park is probably slightly warmer than where the official Atlanta weather measurements are made (which is near the airport). 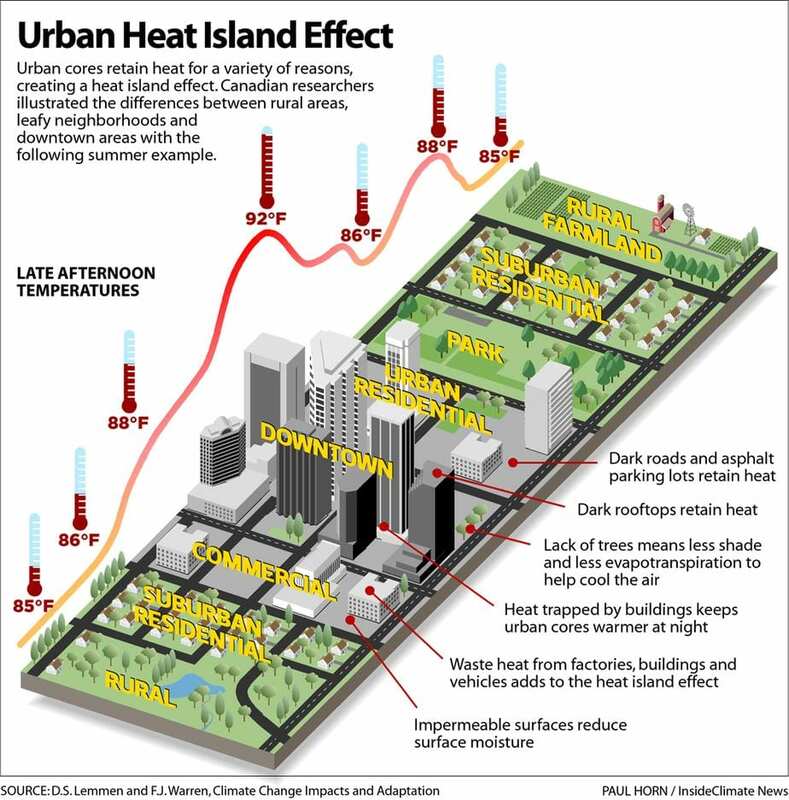 This is because downtown Atlanta is an urban heat island. Therefore, let’s assume that temperature measurements at Hurt Park are 1.5 °C warmer than the temperatures measured near the airport. 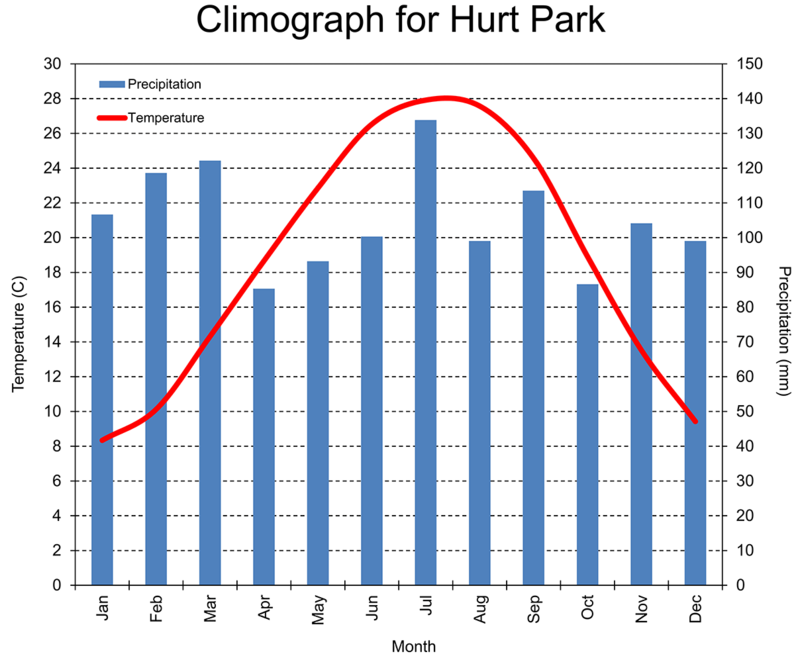 The expected climograph for Hurt Park is shown below. And let’s assume that mean monthly air temperatures at Hurt Park will increase 2.6 °C over the next 30 years. Q20: How close will Hurt Park come to being a tropical climate in 2050? The coldest month of a location with a tropical climate is ≥ 17.8 °C (64 °F). So clearly Hurt Park will not be an Af, Aw, or Am climate type in 2050. But there could be some dramatic climate-related shifts that are not actual changes in the climate type. Are you scared of alligators? If so, luckily the current range of alligators does not currently include the Atlanta region. Open Alligator_Range in Google Earth to see where you might expect to find alligators. The range is based on conditions in 2001, so the range has probably changed a little since then. What you hopefully see in the Google Earth file is that alligators can be found in streams and wetlands near the “fall line” cities of Augusta, Columbus, and Macon. With respect to downtown Atlanta, the closest suitable habitat for alligators is about 70 miles to the southeast. Temperature is the main limiting factor for alligator presence in the Atlanta area. 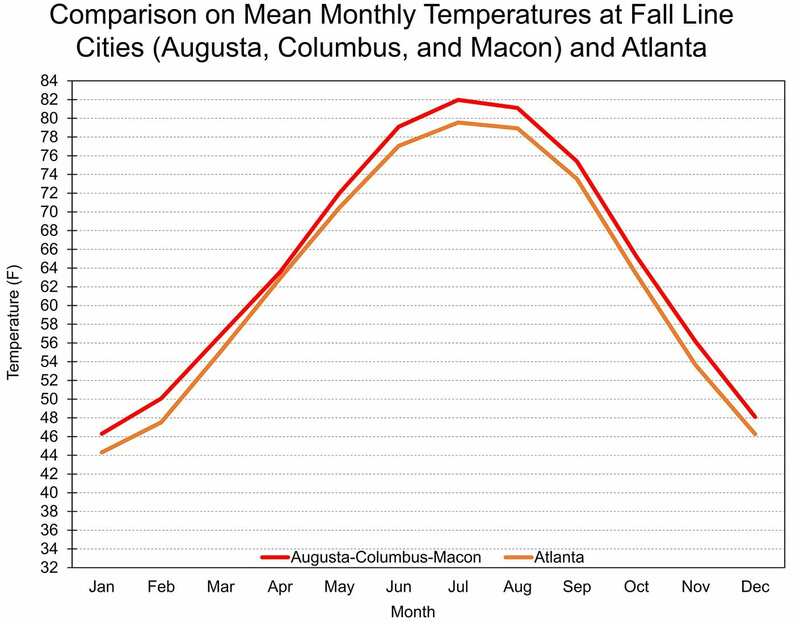 Below is a graph showing the mean monthly temperatures for the Atlanta region and the mean monthly temperatures for Augusta/Columbus/Macon; those three cities are warmer than Atlanta in all months. But you have seen previously in this lab that mean monthly temperatures for the Atlanta region are expected to increase by 1.6 °F to 2.6 °F per year over the next 30 years. Q21: Based on your examination of the figure above and the projected increase in Atlanta’s temperature in 2050, what is the likelihood that alligators will be denizens of the Atlanta area’s streams and wetlands in 2050? In addition to alligators potentially residing in Piedmont Park in 2050, the summers should be more uncomfortable and the threat of tropical diseases should increase. The image below shows the current summer (June-August) apparent temperatures across the southeastern United States and projected apparent temperatures in 2050 using the RCP 2.6, RCP 4.5, and RCP 8.5 emissions scenarios. High apparent temperatures can lead to heat-related illnesses. You also saw in previous labs that most of the Southeast has a Cfa (humid subtropical) climate, while the southernmost part of Florida has a tropical climate. Q22: Under the worst-case emissions scenario, Atlanta will have a summer apparent temperature equivalent to the current summer apparent temperatures in what part of the southeastern United States? 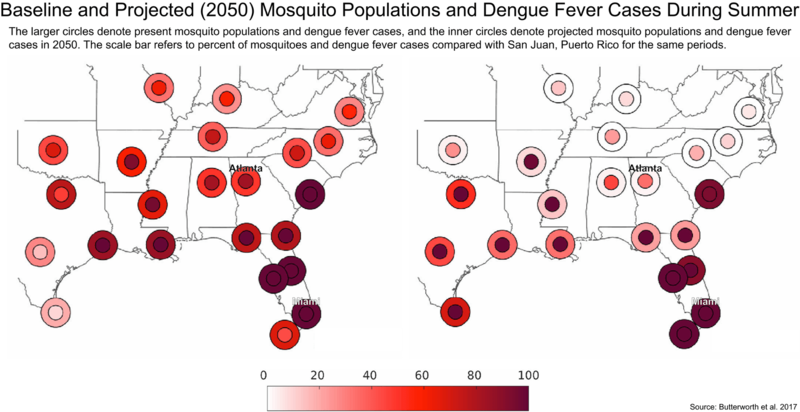 Finally, the range of Aedes aegypti, the principal mosquito vector of dengue viruses, should expand greatly throughout the southeastern United States by mid-century. Dengue is a disease caused by any one of four closely related dengue viruses that are transmitted to humans by the bite of an infected mosquito, which is often Aedes aegypti in the Western Hemisphere. These mosquitoes and dengue are mostly confined to tropical areas currently. The image below shows the current and future populations of Aedes aegypti and the current and future cases of dengue fever; all values are comparisons with current conditions in the tropical city of San Juan, Puerto Rico (18° N, 66° W). 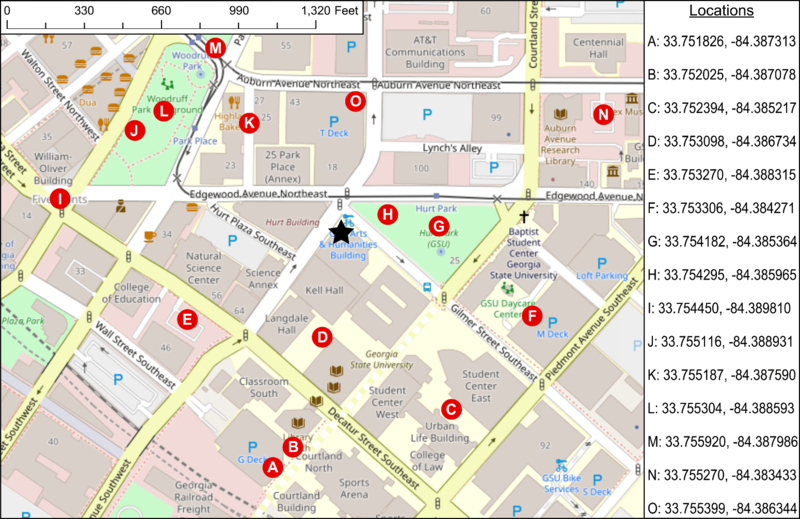 Q23: Since downtown Atlanta is warmer than the rest of the metropolitan area and assuming there would be abundant standing water for Aedes aegypti mosquitos, how likely would it be that the mosquito population in 2050 on the GSU campus in summer could be equivalent to the current conditions in San Juan, Puerto Rico?